Simmal’s experienced technicians are on-hand to get the job done. Many applications require steel and we’re here to help you find exactly what you need. Using this versatile metal, we can complete virtually any order. Read more about our services below. If you’d like help or advice on our stainless steel products, please call us on 01772 324 277 today. 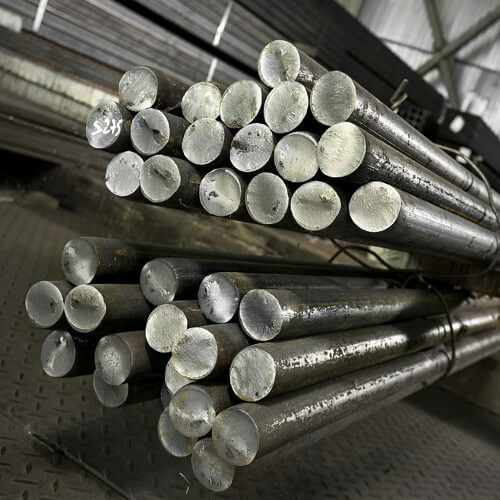 Stainless steel is a resilient and reliable metal that is suitable for many different uses. From industrial and commercial engineering applications to household repairs, this metal is the perfect choice for your project. Simmal can now offer all common grades of stainless steel; 303, 304 and 316. Each of these steel grades corresponds to different environments which the metal is designed to endure. Our steel products come in all shapes and sizes. We stock a wide variety of stainless steel parts and components, including round bar, flat bar, pipe, tube and box sections. There are many benefits of using this metal. Its superior strength-to-weight ratio, paired with its resilience to corrosion and heat, make it one of the most versatile metals available. We stock a wide range of steel products in various shapes and sizes. However, our expert technicians can also fabricate custom pieces to suit your individual needs. All of our steel products are completely certified and we also offer a full cutting service based on your requirements. From small, precision-built components to large extruded pieces, we’ve got you covered. Please contact us on 01772 324 277 if you need any advice on steel grades and uses.